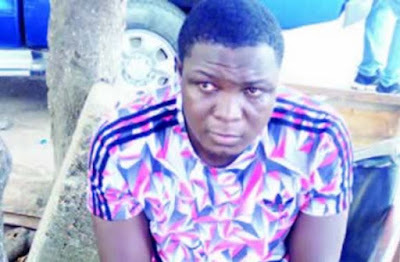 Lagos deadly gang leader Small-Jpron escaped from Prison? » NEWS » Lagos deadly gang leader Small-Jpron escaped from Prison? Two operatives of the Lagos State Command are being detained for their alleged involvement in the release of a suspected serial killer, Ibrahim Balogun aka Small-Jpron. The 36-year-old, who was notorious for cultism and killings in the Somolu and Bariga areas of Lagos, was said to have escaped from prison with the help of the policemen and other judicial officials at large. Small-Jpron was earlier arrested in August 2016, and paraded at the command’s headquarters in Ikeja, where he confessed his involvement in the killings of three persons. He had said, “I am an Eiye cult leader. I joined the cult in 2009. The reason for my joining was to avenge the death of a close friend, Sunday Folorunsho, aka Small Biscuit. Small-Jpron was arraigned at an Ebute-Meta Magistrate’s Court. He disappeared from the public radar afterwards. Good news is that he was re-arrested on Monday. Although the suspect insisted that he was granted bail by the court, the Lagos State Commissioner of Police, Fatai Owoseni, while parading him at the command headquarters on Wednesday, said he escaped from custody in connivance with the two police operatives. The CP said the policemen, whose names were not disclosed, were under investigation, adding that other persons involved in the suspect’s release would be brought to book. He said, “The suspect broke out of prison shortly after he was remanded. The circumstances surrounding his escape are being investigated. We are also investigating the complicity of two of our officials in ensuring his escape from the prison. In a chat with Punch, Small-Japron, who was said to be the leader of the Eiye Confraternity, stated that he was in the court for the continuation of his trial on the day he was re-arrested. He explained that the police had brought him and his “second-in-command”, identified simply as Abbey, for arraignment in September 2016, when the latter disappeared. The suspect claimed that he had denounced his membership of the cult, adding that his “former group” instigated his arrest. He said, “When I was in prison, a brother in my area called Asuma told me not to worry that he would ensure my release. He is an omoonile (land grabber). He said he would see one justice over my case. I didn’t fight anybody again. I had gone to the court on Monday when policemen arrested me. “Eiye cult members are fighting me because I told them I was no longer interested in the group. They set me up that day. Investigation is ongoing in the matter. Title : Lagos deadly gang leader Small-Jpron escaped from Prison?